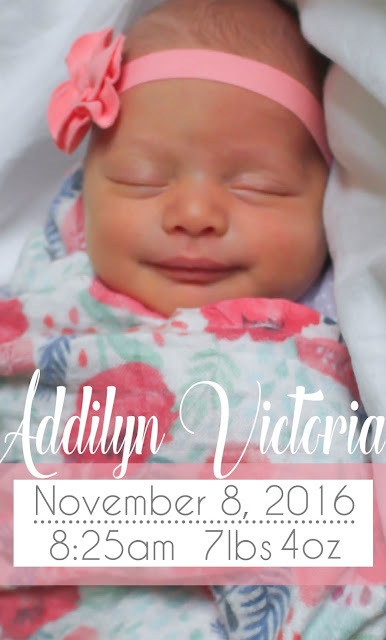 Ansley Designs: Introducing: Addilyn Victoria! 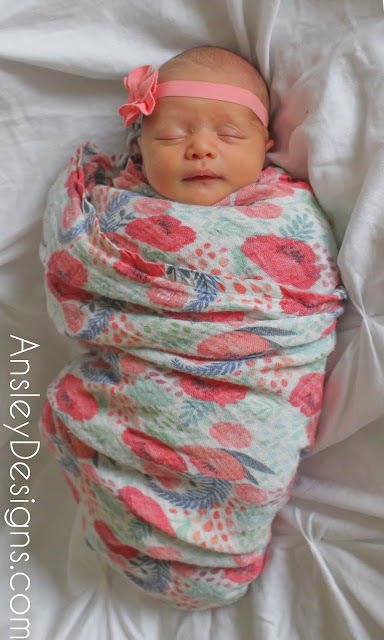 This baby was a complete surprise, but I'm totally smitten with her! We argued over her name until literally the night before my c-section. I wanted Haven Victoria. I love that name, but he hates it. I've decided that I have to have one more girl and that WILL be Haven. 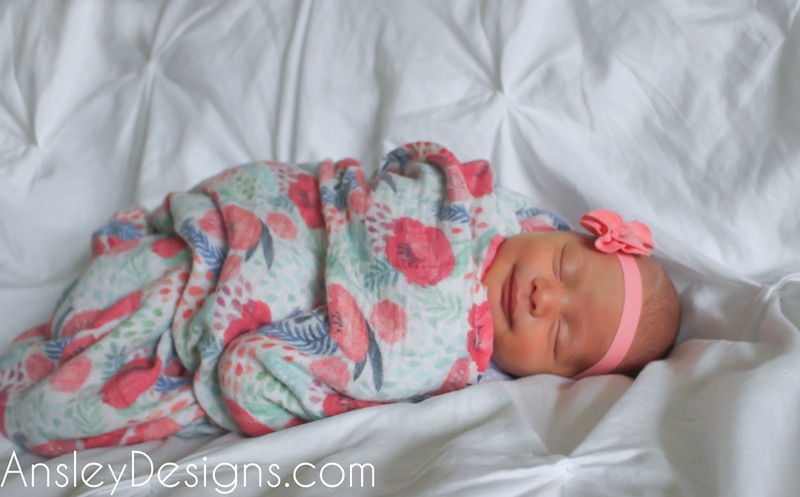 ;) Until then, here is my sweet Addilyn Victoria! I love that little smile of hers! These photos were a tad rushed. She was already 2 weeks old here, and I've been so overwhelmed with everything I finally just said "OMG I HAVE TO GET THESE DONE TODAY!" So, I draped a comforter over the couch, wrapped her in a blanket, and voila! She didn't last long, either! I only got 15 pictures before she started fussing. Naturally there were only 3 of them that I was semi happy with. I do want to take some more of her sweet little hands and feet. Reagan was a bit more cooperative. 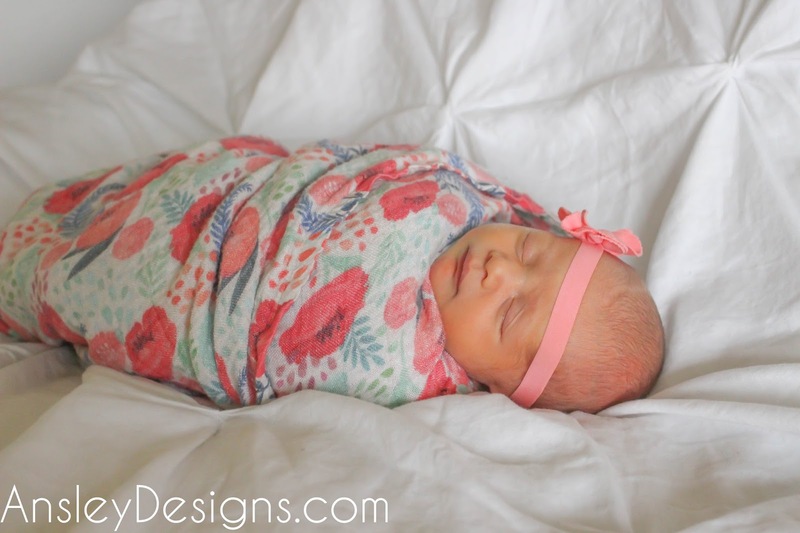 You can see all of her newborn pictures here!